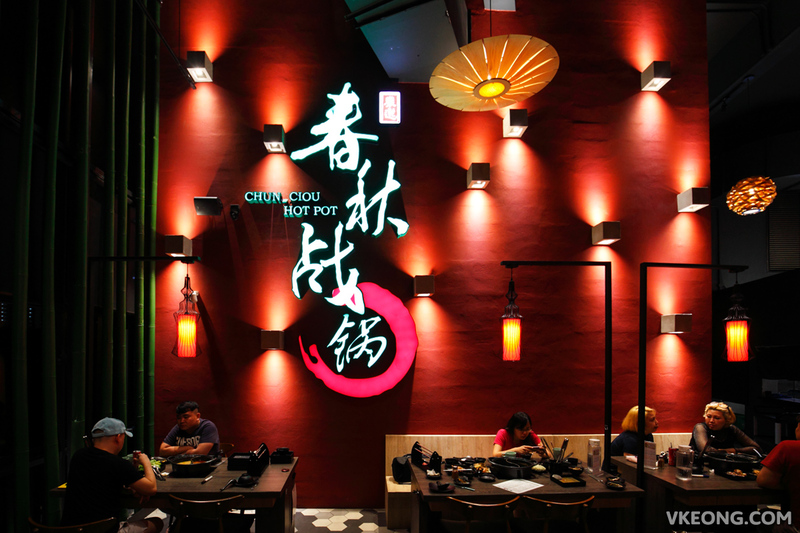 Since its opening, Chun-Ciou Hot Pot has garnered a lot of attention and it’s now one of the busiest restaurants along Old Klang Road. We have been putting off trying this place because their dinner buffet is priced at RM75++, which is kind of high considering most steamboat buffets in KL are around RM40. 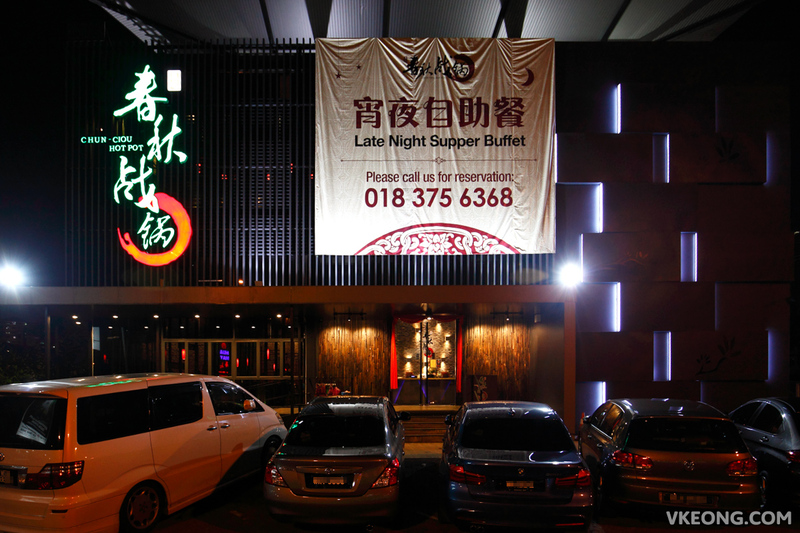 We only decided to drop by recently after they launched their supper session, as we felt the price (RM60++) was right. Besides, late night supper is always fun especially when it’s steamboat. Shown above is the standard ‘starting set’ that pretty much includes all the types of meat, mixed vegetables and some typical steamboat ingredients. You are free to omit some of the items if you want. 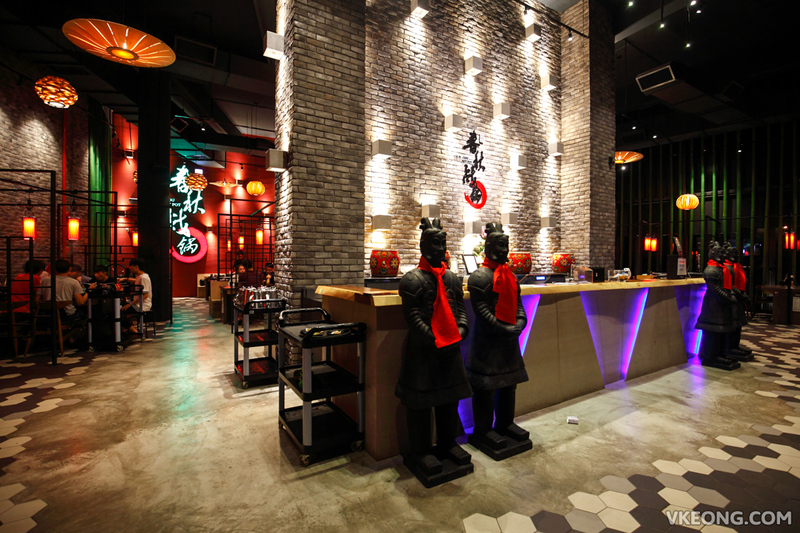 This is the main reason why Chun Ciou Hot Pot managed to captivate the heart of many customers. 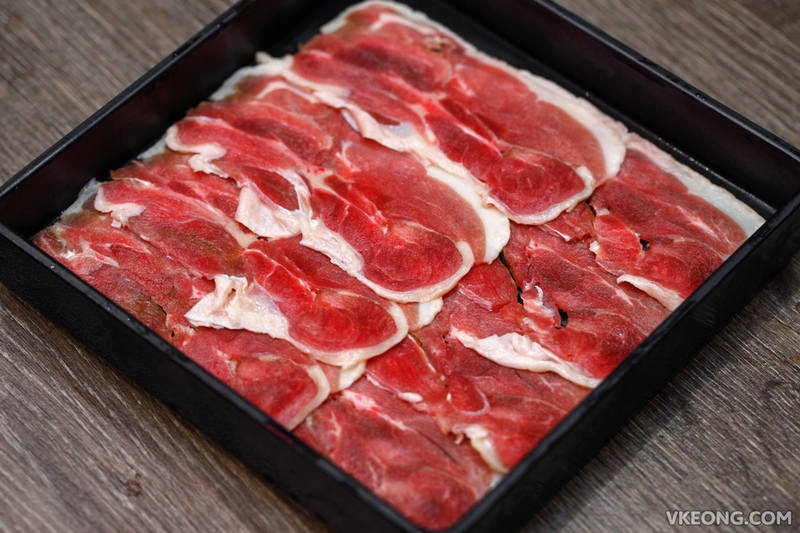 The thinly sliced meat is presented hanging on a rack on top of dried ice which adds a lot of cool factor. But just so you know, the meat will only be served in this manner once. All subsequent order of meat slices will come in the normal black container instead. There are six kinds of soup base to choose from and we picked their signature Sukiyaki and Tonkatsu. In hindsight, we would have picked something else instead of the Sukiyaki because it was a tad sweet for our liking. Since we were here for supper, each of us got an oyster too. It’s covered in a spicy sauce and was frankly quite delicious. Meat wise there’s Australian strip loin, rib eye, pork belly, pork shoulder, chicken fillet, duck meat roll and lamb shoulder roll. 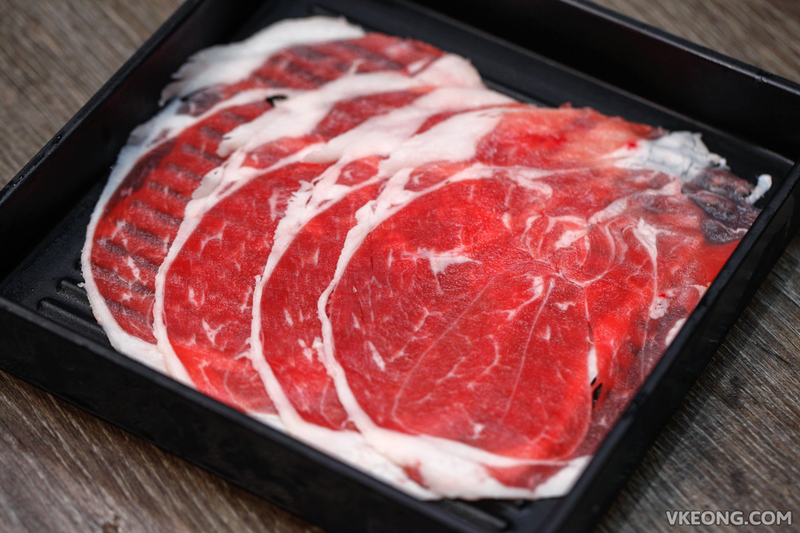 As long as you don’t expect too much, the meat slices should taste satisfying enough. Due to the lack of marbling on the beef, they tend to get tough when overcooked. 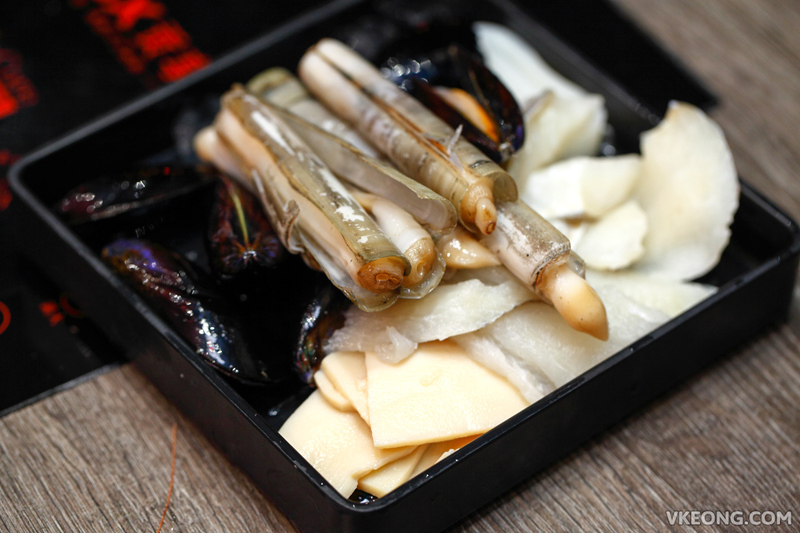 For seafood you have 6 choices: sea prawn, fish fillet, mock abalone, bamboo clam, squid and black mussel. Everything was fresh (for buffet standard) and we enjoyed the sea prawn and fish fillet the most. 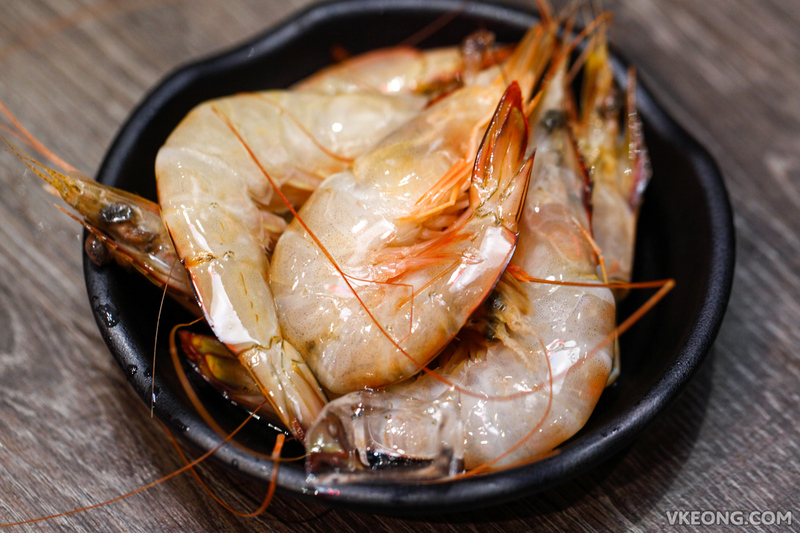 The sea prawns were easy to peel with firm and sweet flesh. 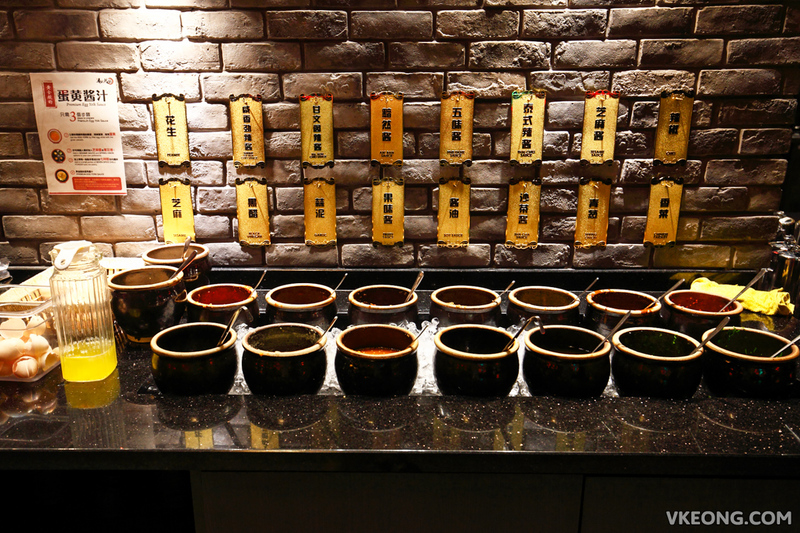 You get to mix your own dipping sauce here by choosing from the 16 different condiments provided. 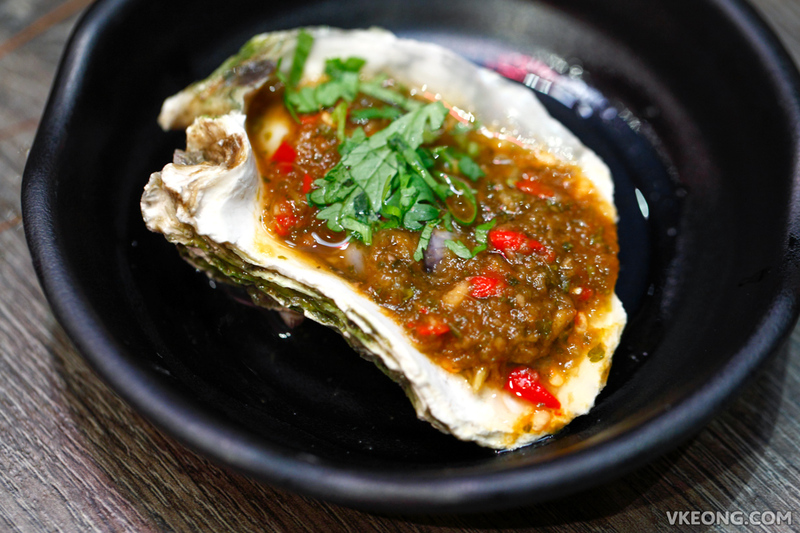 Their recommended dipping sauce involves an egg yolk, sesame sauce, spring onions and the seven spice powder which can be found on your table. 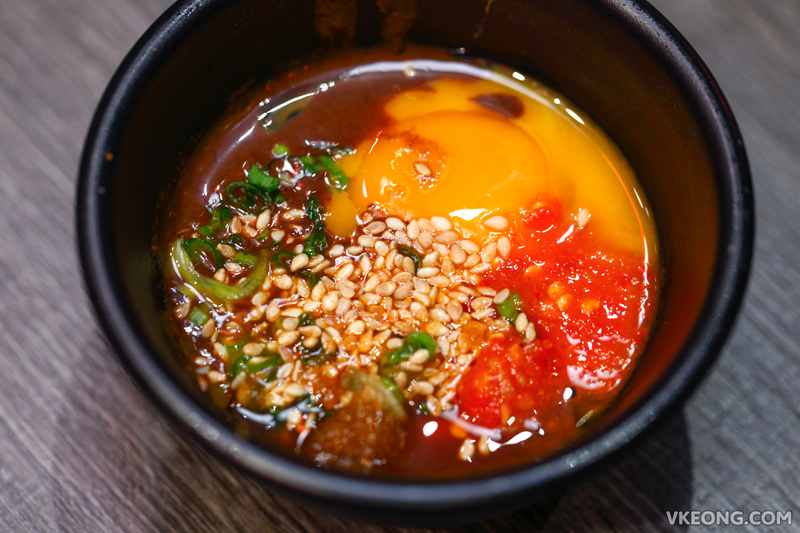 Personally, I felt the dipping sauce was the weakest aspect of Chun Ciou Hot Pot – it did not impress despite the complexity involved. 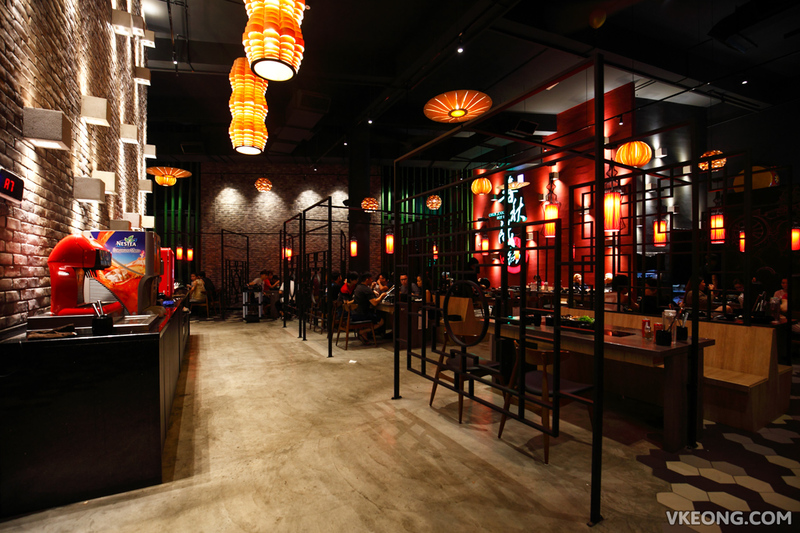 Overall, Chun Ciou Hot Pot is worth checking out if your focus is more on concept exploration, service and ambiance. It’s probably the classiest steamboat restaurant in KL after Yezi. The post Chun Ciou Hot Pot 马来西亚春秋战锅 @ Old Klang Road appeared first on Malaysia Food & Travel Blog.